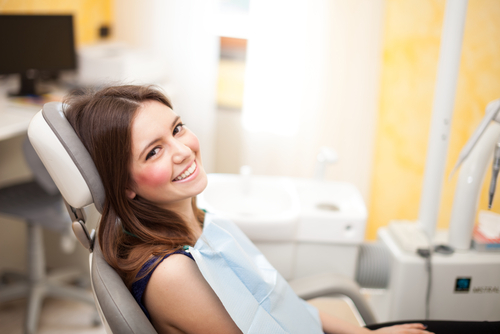 How Long Does Orthodontic Treatment Take in Calgary? NW Calgary Orthodontist – Dr. Cory Liss – explains that each patient’s orthodontic needs are unique, so treatment time varies from patient to patient. Dr. Liss also stresses the importance of customized care and attention so that no aspect of a patient’s bite is overlooked and undiagnosed. In past years orthodontic treatment has averaged two to three years – but with advances in technology, methods and application, today’s orthodontic cases can be completed in less time – depending on patient compliance and treatment goals. At Cory Liss Orthodontics patients are promised a commitment of providing the highest level of care and attention in the least amount of time and appointment frequency. Staying true to this promise means Dr. Liss and his orthodontic team have to stay up-to-date on teeth straightening systems, acknowledging the benefits that each system provides; and knowing which system will offer the best results in each situation. Orthodontic Treatment isn’t a one-size fits all approach. It’s only through a personalized approach and passion to cater to each patient’s unique needs that a successful treatment plan can evolve. Acknowledging that the duration of treatment varies between each patient is the first step in ensuring patient satisfaction – as promising a treatment plan that lasts eighteen months and removing braces after twenty-six months is a sure recipe for patient dissatisfaction. There’s just no easy fix when it comes to creating a beautiful healthy smile that will stand the test of time – and preparing patients for accurate treatment lengths can make the difference between perfection and a mediocre smile. Dr. Liss is a Calgary and Airdrie Orthodontist who is passionate about sharing accurate and honest information – empowering patients to select treatment options that will serve them well. Using trusted and proven technology that has been specifically designed to address treatment length and appointment frequency means that patient expectations are exceeded and treatment results are seen quickly. Offering more than one orthodontic system – Dr. Liss and his staff are experienced in managing all degrees of bite dysfunction and age related orthodontic concerns. Experienced in Invisalign, Damon Braces, and Insignia – this NW Calgary Orthodontist is able to create a beautiful smile each and every time. For more information regarding orthodontic treatment or to schedule an appointment – contact Cory Liss Orthodontics today 403.287.2746 – No referral required.